The BackYard Devils’ story started about 5 years ago, leading to but not stopping with the release of their self-titled album in May 2011. 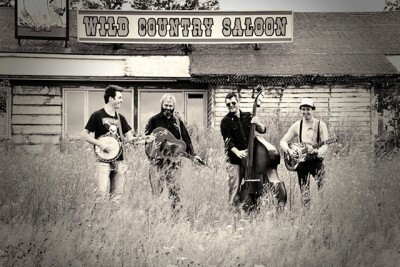 With a swinging guitar rhythm, doghouse bass slaps, smashing guitar solos and lightning quick banjo and mandolin lines, they have managed to hammer down their own sound in an old fashion style. After three Music NB Awards in 2011, The Devils raised a little hell, taking their foot stomping music all over Canada, Europe and the US, becoming an instant party concert favourite along the way, and releasing their second album, Honky Tonk Hearbreaker, at the end of 2014. The Devils include lead singer and lyricist Erik Arsenault, Rémi Arsenault (vocals, bass) Chris Belliveau, (guitar) and Dillon Robicheau (mandolin and banjo). Deep Roots audiences can look forward to an uplifting energetic experience as we welcome this dynamic group to our stages.